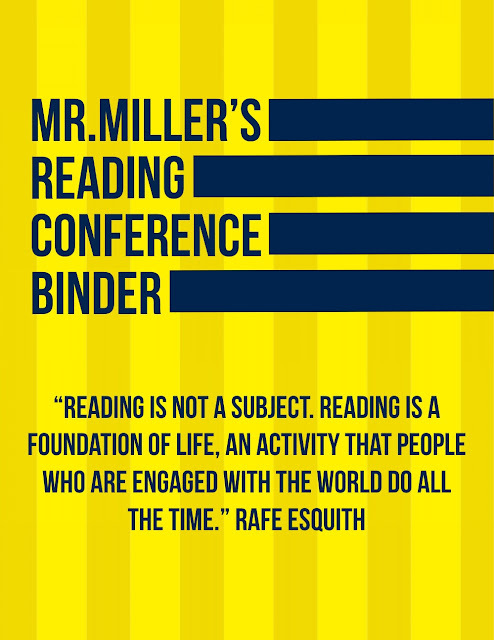 I finally am putting my reading conference binder together. Here's a shot of my cover. I love this quote from Rafe Esquith. You should get his book here. I have read it. Actually, I need to read it again to get some ideas.